Barley’s is a Downtown Asheville INSTITUTION. These guys were one of the very first places in Asheville to offer lots of great microbrews on tap, along with some truly excellent food and a great atmosphere. Unfortunately, their site was developed many moons ago – and it was showing. They came to us to develop a site that was not only good-looking, but also exceptionally easy to use and easy to keep updated. We delivered on all fronts. WordPress – so it functions like a champ. Fast, flexible, easy. Responsive – works well on all devices. Mobile-ready – did we mention that it works on phones? Ecommerce-capable – yep. They can sell schwag. Integrated Calendar – makes it easy to show what’s happening. Menu Plugin – keeps the menu organized and fresh. We’ve also developed a Google Docs system that allows them to dynamically keep beer menus updated and synced with the site. Pretty sweet! If you’re in downtown Asheville, stop by and check ’em out. If you’re on the internet (which – obviously – you are,) check out their site. 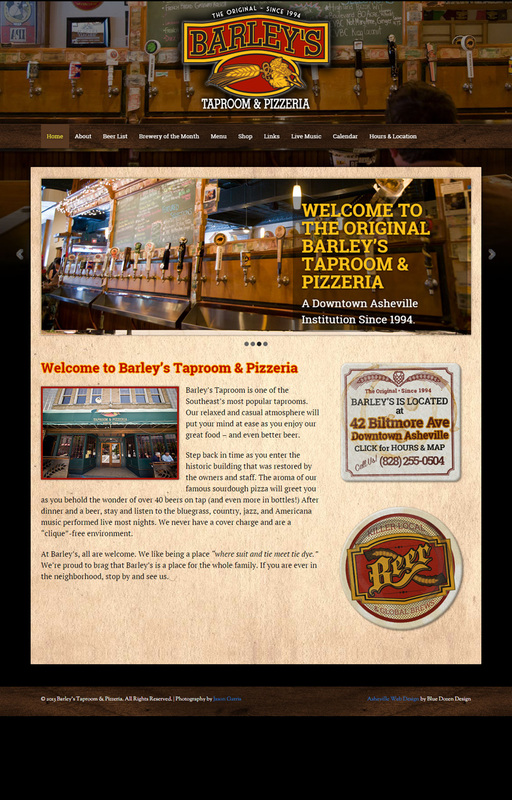 Great folks, great beer, great pizza. Doesn’t get much better!